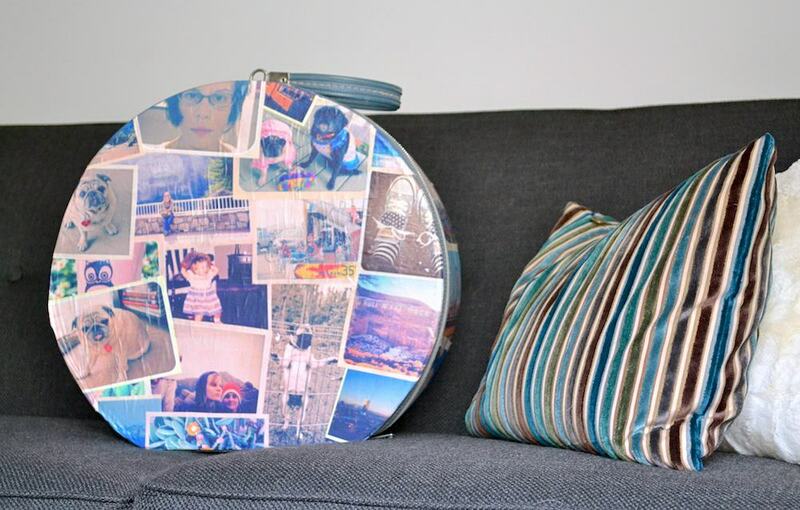 In this DIY suitcase project, you'll attach your favorite photos to a vintage find using Mod Podge! 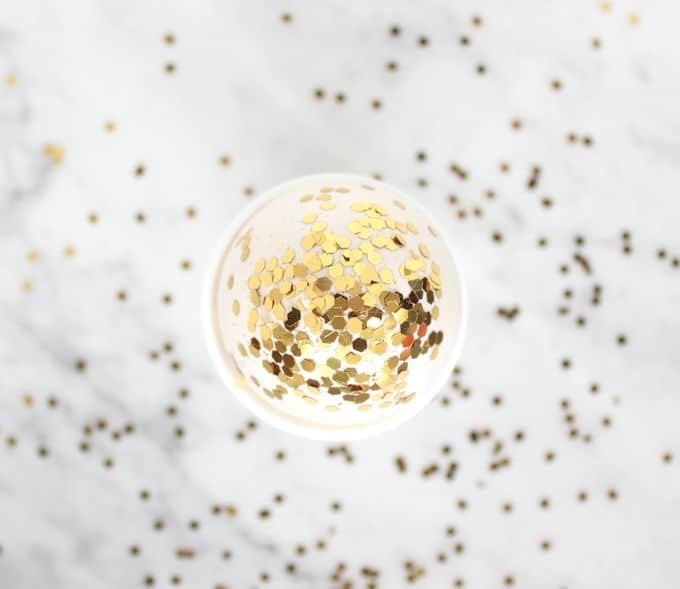 This is so easy to do and you'll love the results. You can use it as a functional suitcase but it's also perfect just for decorating. I love vintage suitcases! I see them in such fun shapes and colors all over Etsy, and I decided to get one for myself. 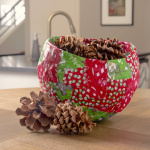 When I received it, the outside of it was a little rough and had some stains. I decided it would be fun to personalize using my favorite photos from over the years. That way it would make me smile every time I look at it – and it would be useful! And what a fun and memorable way to start out the school year for any college student! 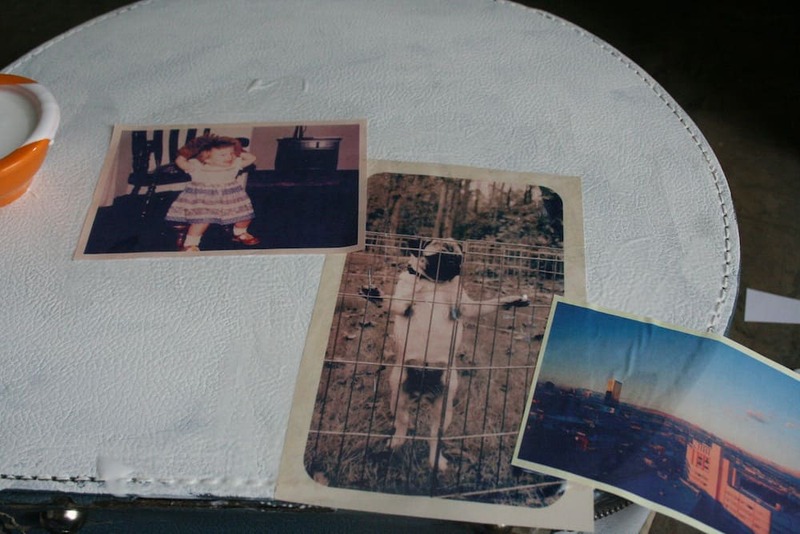 Here’s how I decorated my fun vintage DIY suitcase using just a few basic supplies. 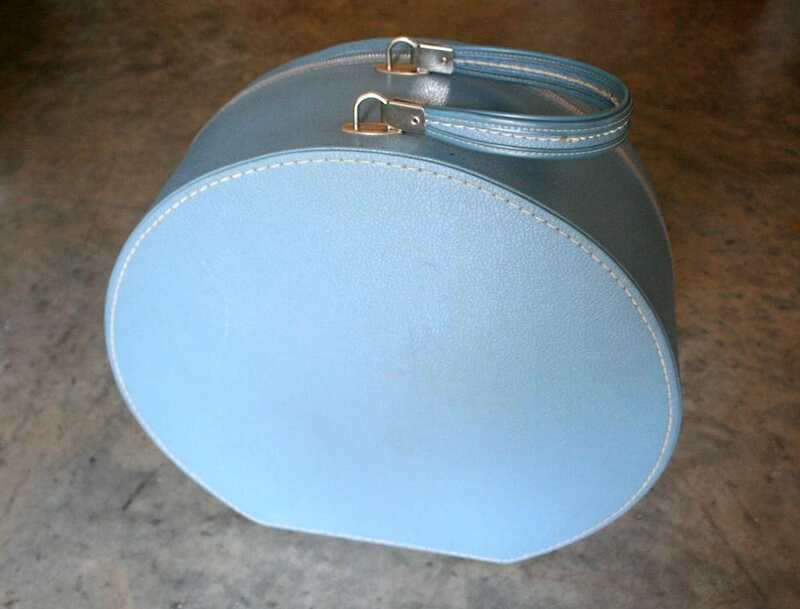 I love that this suitcase has such an interesting shape! 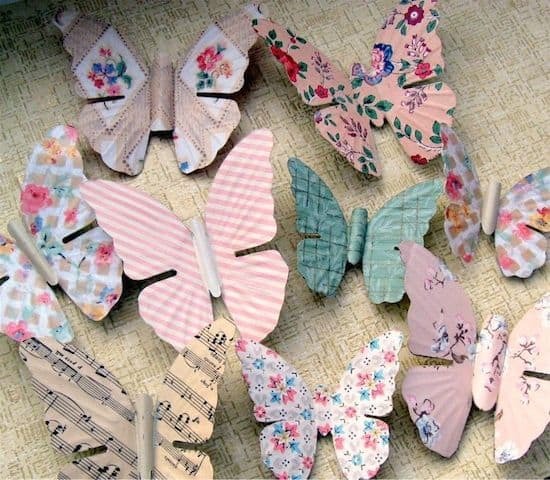 You can use any type of suitcase for this project – from larger suitcases to smaller trunks. You can use luggage with a fabric or vinyl exterior as well; if it’s a plastic suitcase, you’ll need to do a small test to make sure it works. 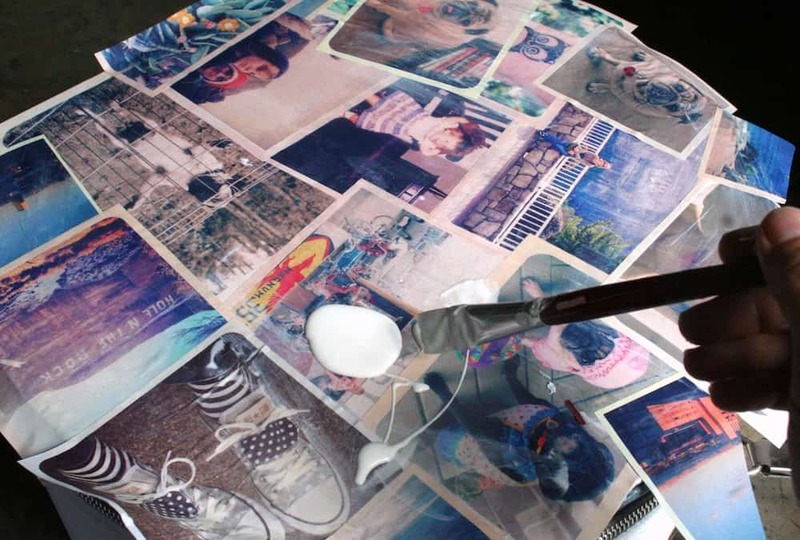 If you have a darker suitcase like mine, you’ll need to paint it with white acrylic paint before you add the photos so they “pop” off of the surface when you decoupage. Give your photos a vintage touch by using filters in your favorite photo editing program. I gave my photos filters as well as added a light border in. I used picmonkey.com. 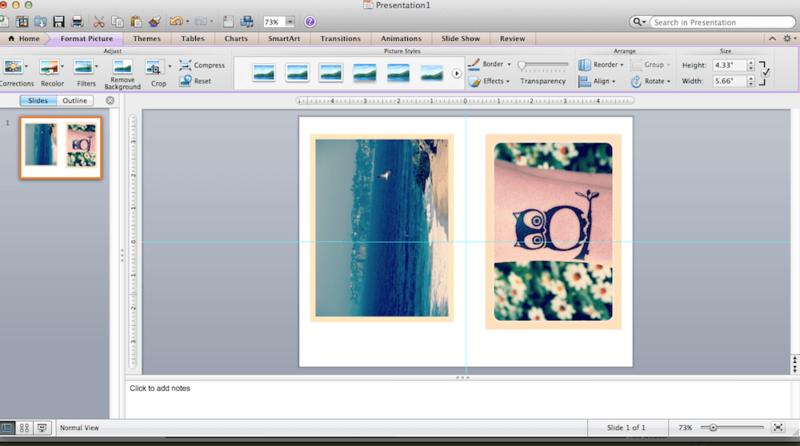 Use PowerPoint or another program to size and print your photos. 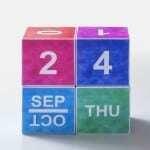 TIP: Print these out on HP Bright White Ink paper. The bright white paper is best for showing the true color of the patterns AND the HP paper doesn't bleed as much!! 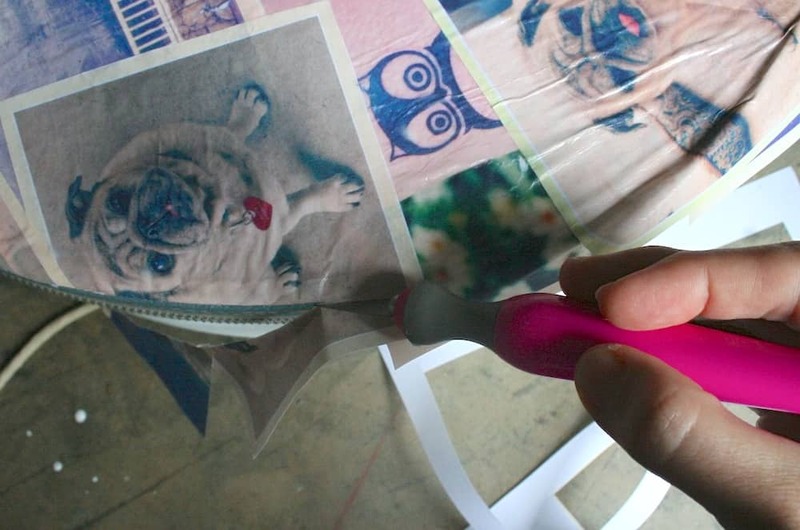 Cut all photos out with your scissors and set aside. 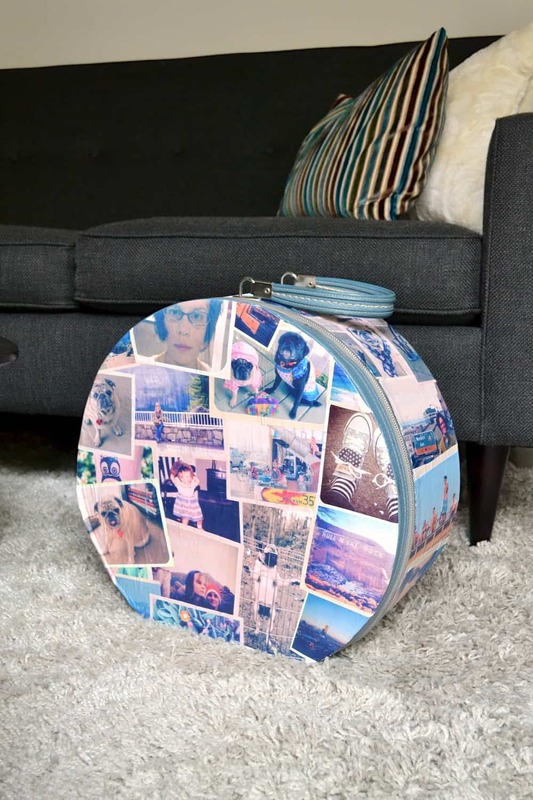 Start attaching your photos to the front of your suitcase using Mod Podge. Paint a medium layer down and smooth the photo on top. Keep adding photos – you can overlap them and let some hang off of the side (you’ll trim later). 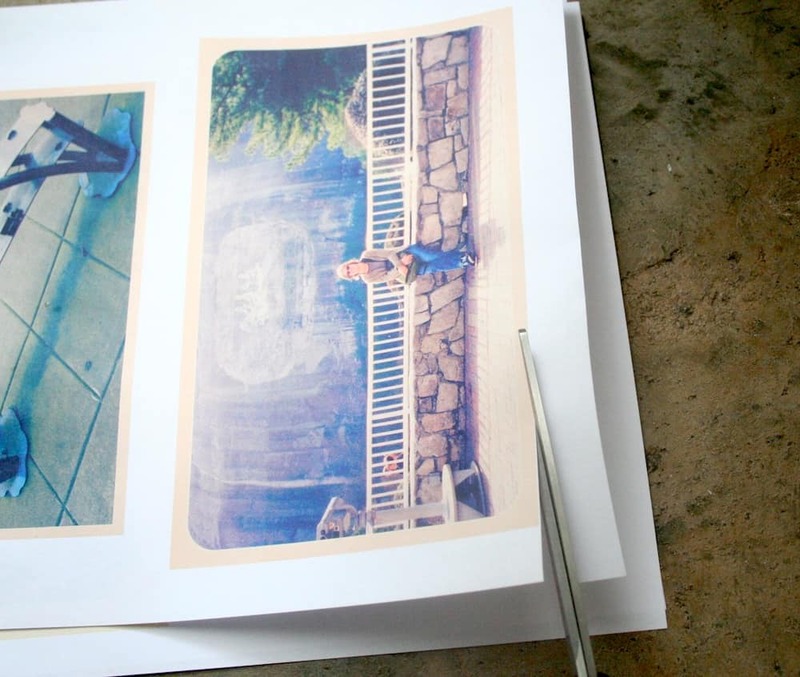 Once all of your photos are on the front, let it dry for 15 – 20 minutes. 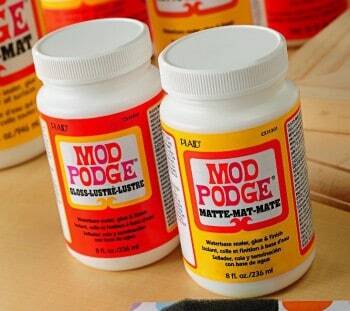 Then paint the top with another coat of Mod Podge and let dry. When the top is dry, trim using a craft knife. Repeat the process with the rest of the suitcase. 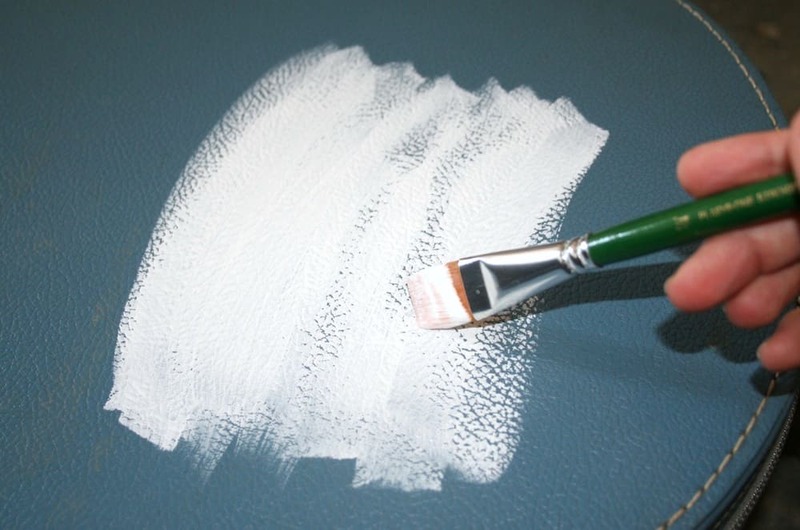 TIP: If you want the suitcase to be extra durable, use a spray sealer when finished. Take the suitcase outside and give it 3 – 5 coats, letting it dry between coats. 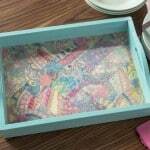 Enjoy your finished DIY suitcase! I have such fond memories of fun times whenever I look at it.